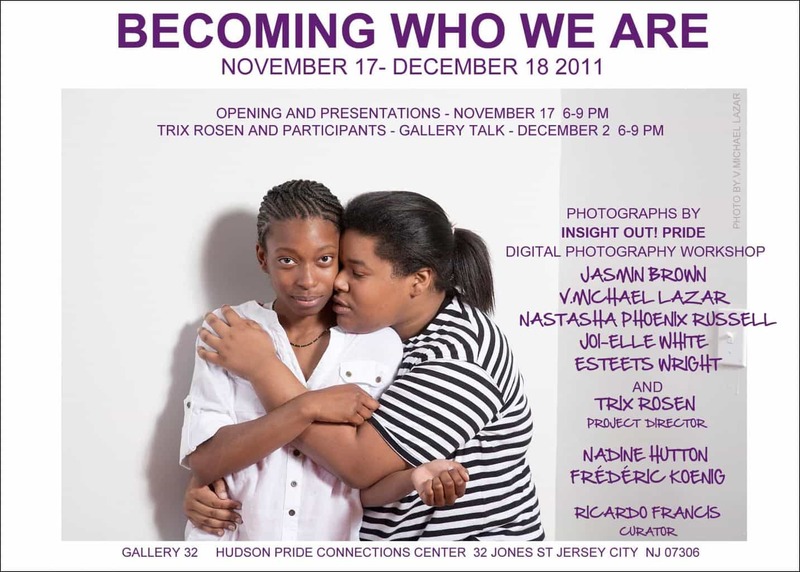 You are cordially invited to “BECOMING WHO WE ARE,” a photo/video group exhibition featuring the work of Jasmin Brown, V. Michael Lazar, Nastasha Phoenix Russell, Joi-Elle White and Esteets Wright, participants in the InSIGHT OUT! Pride Digital Storytelling Workshop based at the Hudson Pride Connections Center. Their work is exhibited along with my own photos and those of my colleagues, international guest photography instructors Nadine Hutton (South Africa), and Frédéric Koenig (France). The InSIGHT OUT! Digital Storytelling Workshops give a visual voice to participants growing up in environments of uncertainty, discrimination, fear and violence, and guide them to explore their creative vision. As they learn to document their own lives through photography, they grow in confidence and leadership skills, empower themselves and heal. 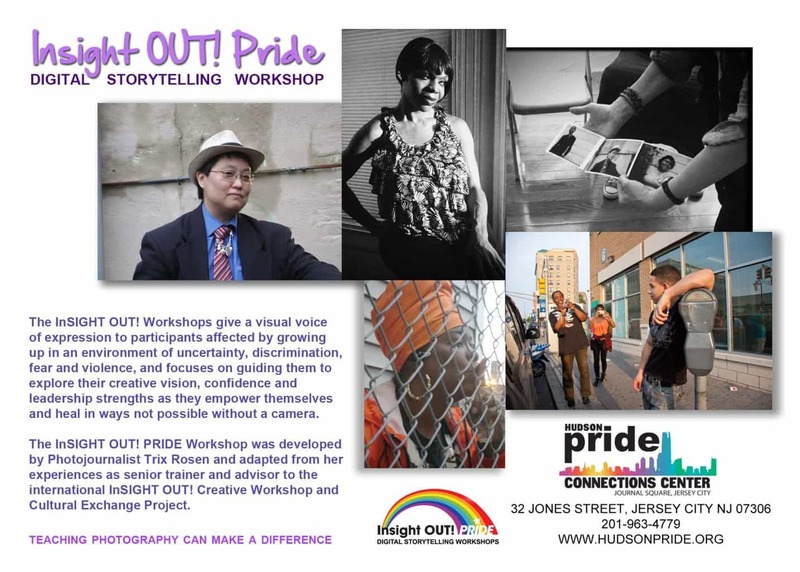 This pilot workshop was tailored to LGBTQ participants and also designed to be a visual advocacy project. The workshops at the Next Generation Center, Bronx, NY and NJ were developed and adapted from my experiences as senior trainer, editor and advisor to the international InSIGHT Out! Photography and Creative Exchange Project, based in Bangkok, Thailand.